Scheck Hillel Community School will host an early evening Chanukah celebration for the whole community. 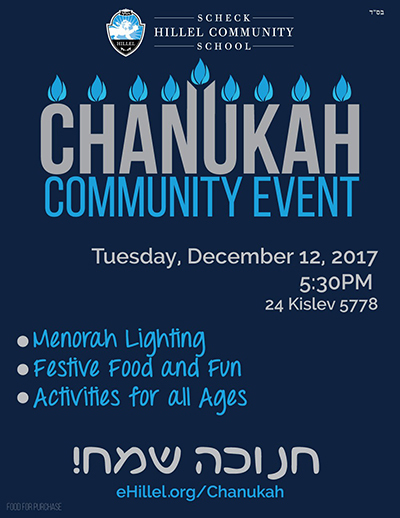 The first candle of Chanukah will be lit during the event. The event includes live music, balloon man, face painting, rock climbing, bounce houses and carnival games for all the ages to enjoy. There will also be an “Hour of Code” interactive station, offering a taste of the student experience. Traditional Jewish holiday food favorites will be available for purchase.